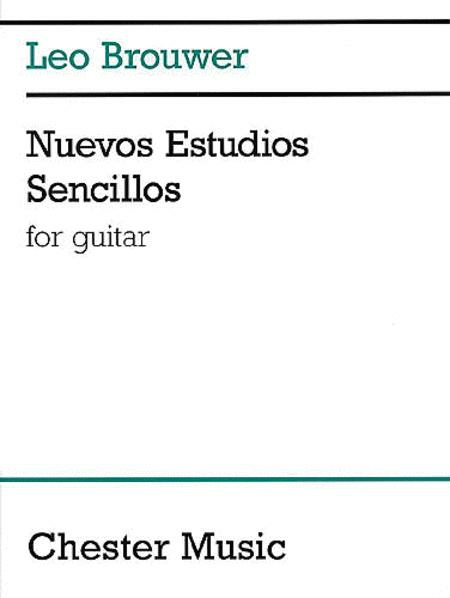 Leo Brouwer's Nuevos Estudios Sencillos is a collection of short Guitar pieces in the style of composers such as Debussy, Prokofiev, Piazzolla, and more.
. I think he really knows that what you should do with this pieces is work on what he wants most. He wants Dynamics the way it is written. He really put a lot of effort in making sure we see how they should be played. The Time signature changes all the time is so great if your used to playing Bach , Giuliani, etc. 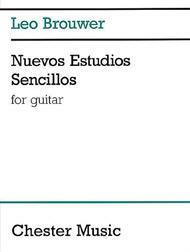 Its Intermediate if you just play it but if you play it the way it is supposed to be played then it becomes lower advanced. I cant believe I am the first person to review this book. Get it.